The value of the US Dollar is one of the most important global economic indicators today. But what factors influence the value of the dollar, and which historical events have had the greatest impact on the value of this globally-relevant currency? It isn’t easy being the United States. After all, the US tends to get involved in the majority of global crises, it is often relied on to set the tone for popular culture and trends, and is considered a world leader when it comes to managing diplomatic issues and humanitarian concerns. Politics aside, the US is a leader among nations across the free world, and it knows it – but this position isn’t always enviable when you consider the responsibility that the United States has to control and effectively manage its own monetary policies. After all, if the value of the dollar isn’t closely protected, global markets will be affected. The value of the US dollar maintains an equilibrium based on the health and wellness of nearly all nations on the planet – and it is of crucial importance to the American economy. While many economists will tell you how they would systemically impact the value of the US Dollar, history has proven that both domestic and global events and a range of outside influences can severely alter the value of this globally-important currency… oftentimes with drastic effects. To demonstrate the volatility of this critical currency, let’s recap ten historical events that have affected the value of the US dollar over the past century. First, what outside influences have the power to impact the value of the US Dollar? Economists can argue that there are more than 50 relevant influencers when it comes to the value of the US Dollar. While this is true, the twelve big drivers of the US Dollar are indicated in the image to the left – and each has had a significant role in the value of US currency over the past 100 years. During recent periods in US history, a housing bubble, severe weather events, and balance of trade shifts have all played a key role in the economic performance of the US Dollar. Many Americans recall the housing bubble of the mid to late 2000’s – when foreclosures spiked and whole neighborhoods of abandoned houses were left to decay as builders abandoned projects. This wasn’t weather related or influenced by foreign nations – but it certainly had a lot to do with the housing industry and rapidly changing interest rates. As we explore the following ten historical events that have influenced the value of the US Dollar, keep in mind that a “weak” dollar does not mean that the nation is doomed. In fact, many economists will point out that there are some real benefits to having a weak dollar. A strong dollar is preferable in many cases, but a devaluation of currency can have some powerful side effects when it comes to the balance of trade and the ability to compete on global markets. The following ten events will outline the diversity and scope of the type of events that can affect the value of the US Dollar. 1. 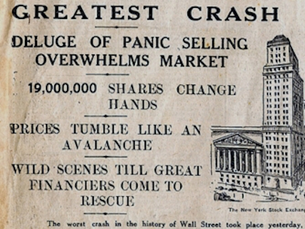 The 1907 Bank Panic – The Stock Market becomes a sidewalk sale! It all started with a calculated move by New York financier Otto Heinze on the afternoon of Monday, October 14th 1907. Heinze attempts to corner the stock of United Copper – yet fails miserably. He is so unsuccessful in his scheme that his brokerage house, Gross & Kleeberg, is forced to close. In response to his actions, the New York Stock Exchange suspends Otto Heinze and Company – forcing him to actually conduct business on the sidewalk outside of the stock exchange! Quickly, Heinze’s State Savings Bank of Butte, Montana becomes insolvent. Several banks that were owned by close associates of Heinze were closed too, and “runs” began on these financial institutions – including the lauded Knickerbocker Trust Company. Within days, the City of New York was famously poised to run out of money until legendary financier J.P. Morgan came in and persuaded others to purchase bonds alongside his investment house. $30 million in bonds were sold, keeping New York operational. 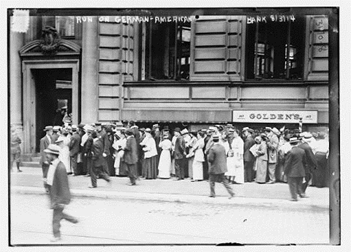 Though much of the crisis point for New York City was averted thanks to J.P. Morgan and his associates, the ripple effect of the 1907 Bank Panic was felt thousands of miles away and would leave a lasting impact on the nation. Unemployment rose from 3% to 8%. Production dropped by 11% and imports saw a 26% reduction. Even the number of individuals who immigrated to the United States that year dropped to 750,000 people – down from about 1.2 million just two years earlier. Needless to say, the value of the dollar was severely impacted and a major driver was domestic confidence in the banking system. 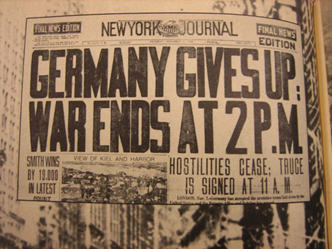 World War I was and is known as the “Great War,” or simply the “World War.” Spanning the years from 1914 to 1918, and finally coming to an end on the 11th hour of the 11th day of the 11th month in 1918, the impact of this far-reaching conflict left lingering damage that impacted the value of the US Dollar long after the ink was dry on the treaty of Versailles. During the War, the nation was spending more than three times as much as it was taking in through tax revenues, bond sales, and other income streams. For the first time in history, the US was now seen as a debtor instead of a creditor, and that positioned cemented the US as a slightly less-stable place to invest. This impacted the value of the dollar by introducing a modicum of uncertainty among foreign investors – a sentiment that can diminish the value of the dollar rather quickly. When foreign investors are hesitant to invest in US Dollars they may keep their money within their own four walls – increasing the value of their own currency and systematically deflating the value of the US Dollar. The impact on the value of the US Dollar was immediate and severe. Foreign investors had no desire to reallocate investable assets in a nation that saw a 25% reduction in stock market valuation over a 48 hour timeframe. This effectively reduced the value of the dollar and weakened the United States from a global perspective. One positive side effect of a lower valuation of the US Dollar, though, was that domestic production was then easier to sell overseas due to the lower net cost to produce goods. United States citizens likely had no interest in witnessing a repeat to the horrific outcomes of WWI – itself put to rest just two decades before. With the Great Depression still impacting the nation and unemployment hovering at 15% in 1939, the US couldn’t really afford to spend one dollar more than it had to. 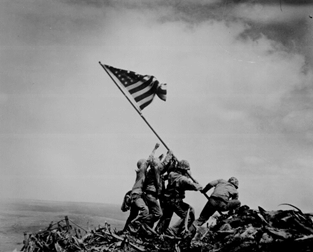 But when the Japanese attacked Pearl Harbor in 1941, the decision to go to war was inevitable. The impact on the US Dollar once the US entered WWII was significant. First, a nation at war often dramatically increases domestic production of munitions, food items, durable goods, and other products that are necessary for wartime activities. 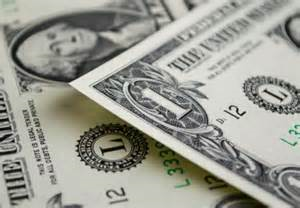 This reduces unemployment and increases consumer confidence – both dollar-strengthening factors. The US saw a marked improvement in consumer confidence at the outset of the war, and unemployment was reduced to virtually nothing. High unemployment tends to lead to a weakening of the dollar because tax revenues are decreased and the government’s ability to manage unforeseen financial issues can be impacted. It is important to note, though, that a nation at war is often looked upon by foreign investors with some trepidation. In this case, foreign investment was stymied because of America’s involvement with WWII, and this had a negative effect on the value of the dollar. Once WWII came to a close the US saw a period of significant prosperity and a strengthening of the dollar. Many contemporary economists and leaders of industry can hardly remember the volatility of the 1980’s in America. Today’s 40-year old executive was likely in grade school at the time, so it is natural for the 1980’s to feel caught in the middle of today’s modern era and our slightly distant past. But regardless of this, the 1980’s were characterized by severe economic swings, political upheavals, and increasingly abusive interest rates. The early 1980’s saw the makings of a worldwide recession, and the US Federal Reserve added fuel to the fire when it raised interest rates to quell high inflation. In fact, it wasn’t uncommon to see individuals signing on the dotted line for an 18% first mortgage – can you imagine today’s homebuyer wrapping their head around that? Most contemporary mortgages today average around 4%, but it wasn’t long ago that US monetary policy pushed interest rates on home loans to nearly stratospheric heights. The prime rate in June of 1982 was 21.5%. The value of the US dollar was increasingly diminished during this time, as inflation was running rampant and the only action that the Fed could take was to raise interest rates. While this did help curb inflation during the recession, it also severely impacted several industries – including the automotive, banking, and real estate sectors. Foreign political actions, like the US/Iran Oil Embargo, caused additional instability in the US and created a tenuous situation for foreign investors. This further hampered the value of the US dollar – though it did create a slight positive shift in the trade balance between the US and other nations. By the mid-1980’s, the US began to see the light at the end of the tunnel as unemployment fell, interest rates normalized, and corporate earnings improved. The early to mid-1990’s were a period of innovation and wonder. Pretty soon the phrase “dot-com” crept into our lexicon and the Internet ushered its way into our homes – no longer relegated to governmental institutions or places of higher education. But with the rapid proliferation of these Internet-based startups came the even quicker demise of the majority of these companies within just a few years. The 1990’s saw companies whose value would increase simply by rebranding as “e-something” or “widget.com.” Speculation drove the majority of stock value increases, as a company’s actual valuation was largely based on their future potential – not past sales, market share, or other well-established key indicators. Confidence was truly the lynch-pin here, as venture capitalists were eager to invest in any business that was savvy, smart, and progressive – regardless of traditional stock valuation measurements like the P/E ratio. Once businesses became unsustainable they quickly went out of business and took investor dollars with them. The stock market collapsed and foreign investors balked. The value of the dollar plummeted. Gold went from $438 per ounce in 1988 to $344 per ounce in 1992. A dollar was worth about 667 British Pounds in 1989, yet was only worth $653 pounds in 1992. This weakening of the dollar stifled foreign investment, but did enable the US to take a slightly more favorable position when it came to balance of trade. This was a time in which the US crafted several key trade agreements that capitalized on the lower value of the US dollar – meaning that goods were relatively cheaper to produce here than during previous years. Undoubtedly the single most horrific terrorist attack on US soil, the events of September 11th, 2001 will forever shape the future of this nation. 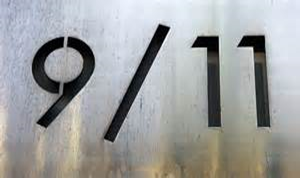 Approximately three thousand individuals died on this day as a result of a coordinated terrorist attack on the city of New York, the Pentagon, and what would have been Washington D.C. had the brave passengers onboard not attempted to overcome the terrorist hijackers. Once the dust settled and the United States citizenry attempted to collectively absorb what had happened, another crushing blow was dealt – this time concerning the financial system. 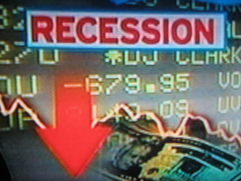 In the week following the attacks, US stocks lost approximately $1.4 trillion dollars in value (2001 dollars). The Dow Jones Industrial Average dropped by 14.3% in one week. Nearly 32 million square feet of Manhattan office space was lost – much of it previously occupied by employees in the financial sector. New York City’s GDP declined by more than $27 billion considering Q4 of 2001 and all of 2002. 18,000 small businesses in lower Manhattan were either severely affected by the attacks or were forced to close up entirely. Within days the US began retaliatory strikes against nations that were found to be harboring or supporting terrorist. In the end, the US would spend more than $5 trillion on both combat operations and homeland security concerns. The impact on the value of the dollar was immediate. Foreign investors were concerned that the US was creating immense debt by spending so much money on overseas operations. Consumer confidence, often an indicator of a strong dollar and a positive sentiment about the nation, dropped to its lowest level since 1994. The actual figure dropped from 97.0 in early September 2001 to 85.5 in October of the same year. 2005 was a truly devastating year for the Gulf Coast of the United States. Hurricane Katrina would go on record as the single most destructive and costly hurricane in US history – with more than 1,800 deaths directly related to the storm and more than $108 billion in property damage. 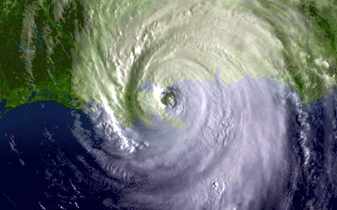 Hurricane Rita came along just a month later and dealt another severe blow to the residents of the Southern US, causing $12 billion in damages and bringing the death toll from both storms to nearly 2,000 individuals. The state of Louisiana was hit so hard that it actually lost 5% of its population over the next year, and areas of the city of New Orleans were so badly damaged they had to be razed. Once the skies cleared and the damage assessments were complete, the real extent of the economic damage would soon become evident. 24% of Gulf Oil production was stymied, the forestry industry lost about $5 billion in revenues due to damaged timber lands, and insurance companies simply wouldn’t write policies for residents in the coastal areas of Louisiana and Mississippi anymore. This one-two punch of storms created national economic concerns, and it caused the value of the US dollar to plunge quickly as investors were concerned that prolonged rebuilding efforts would inhibit domestic growth. While the impact on the dollar at the time was certainly due to the storms, other factors during this same time could have had an impact, too. Japanese elections pushed the value of the Yen to unprecedented levels, China was reforming its currency policy, and German elections were causing some instability in the Euro. Nonetheless, consumer confidence – especially in the Gulf States, was significantly hampered by these two natural disasters. There was a time when you could buy a house with practically nothing down, a credit score in the 500s, and you could even provide your own income and employment information. These loans were affectionately referred to as “NINJA” loans – as in, No Income, No Job, A-ok! 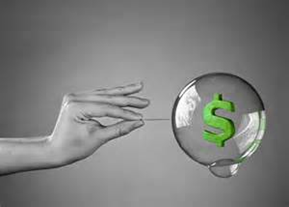 This, combined with massive deregulation that enabled underqualified home buyers to purchase or refinance way beyond their means, caused a housing-related bubble that was simply too volatile to sustain. Instability in the market began to surface as adjustable rate mortgages began to reset to higher rates and commensurately higher payments. 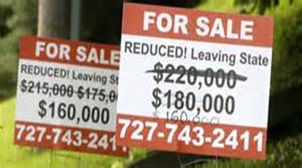 Mortgage foreclosures increased and home values plummeted. In some markets that were hit especially hard (Phoenix, Las Vegas, Florida, and Southern California, to name a few) homeowners saw as much as a 70% drop in home values. The value of the dollar was significantly impacted as the US stock market saw record losses, unemployment nearly doubled from 2008 to 2009, and total US national debt rose from 63% of GDP in 2008 to over 103% towards the end of 2012. Housing prices fell by approximately 30%, and the net worth of US households (including non-profit organizations) dropped by $15 trillion. The value of the dollar dropped as consumer confidence was in a trough. Foreign investment was curtailed almost overnight as the world saw the US plunge into a recession that would take years to overcome, and consumer spending was at a low due to dramatically increasing unemployment figures. Uneasy foreign investors pulled their holdings in response to the crisis, further leading to an erosion of confidence in the US financial sector. The deception was the stuff of movies. The losses totaled more than the GDP of Monaco. The criminal behavior began decades before the collapse of Bernard Madoff’s investment firm. 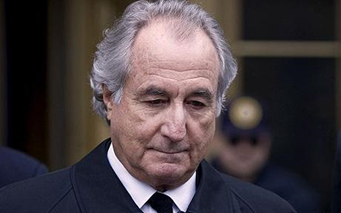 In the end, it is estimated that Madoff misappropriated more than $65 billion in investor’s money over the course of a storied career as an investment chief and one-time chairman of NASDAQ. Victims ranged from humble husband and wife investors to high-profile celebrities like Steven Spielberg. The impact on the stock market was drastic, and not just here in the United States. With investors around the world seeking Madoff’s historically unbelievable returns of 10-12% annually, foreign losses were staggering. Some firms lost nearly half of their invested assets, while others simply closed up shop and failed altogether. The lack of confidence in the stock market created stock value drops and a commensurate devaluation in the dollar. Future forecast – what is the fate of the US Dollar? •Government spending – The US is really good at spending money. In fact, America spends money that it doesn’t have so well that the national debt should approach the $20 trillion mark within the next four to five years. The scary part? That figure represents about 140% of US GDP. As the US is further leveraged during the latter part of the decade, foreign investors will see this as a sign of weakness and that may deflate the value of the dollar. •Problems in the Eurozone – world economies are suffering right now, which means fewer companies and end-users to sell to on the international market. This can negatively impact the balance of trade between the US and foreign markets. If currency in other nations begins to devalue, this makes US-made products relatively more expensive – harming the balance between exports and imports. •Slow domestic growth – The value of the dollar will be impacted by the recent periods of slow economic growth here in the US. With negative GDP reported during early Q1 2015, the imbalance of rising debt and reduced productivity here in America may devalue the dollar in the short term. The US Dollar is the benchmark currency that is used as a comparator to nearly every other form of currency throughout the world. 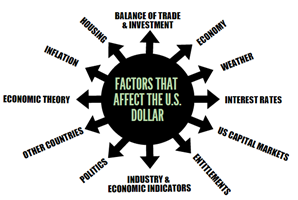 While natural disasters, criminal activity, and terrorist acts can cause significant fluctuations in terms of the value of the dollar, domestic confidence and progressive industrial activities will most certainly help the dollar to retain a strong position in the global currency market.